Homeowner’s Guide: Should You Invest In Dimmer Switches? There’s so much “advice” out there about what to do with your home. Roofing advice, HVAC advice, maintenance tips, etc. One of the most common questions that homeowner’s don’t get a clear answer on is about Dimmer Switches. Are they worth it? Should I get them installed? Will it actually help me save money on my electric bill? Is it convenient for me? Finally, your questions are answered. Check out this great post about Dimmer Switches. When you’re done… Let us know what you think below. Are Dimmer Switches Worth It? Lighting is a constant struggle in a home setting, it can be difficult to get just the right amount of light in a room. Making sure each room has both low lighting and full lighting options available is a big project, and can add up in cost. Dimmer switches restrict the current flowing to a light bulb through the use of CL or TRIAC technology, allowing for a low lighting range. Lighting is a constant struggle in a home setting, it can be difficult to get just the right amount of light in a room. Making sure each room has both low lighting and full lighting options available is a big project, and can add up in cost. Dimmer switches restrict the current flowing to a light bulb through the use of CL or TRIAC technology, allowing for a low lighting range. Dimmer switches are a viable option for some rooms that need a diverse range of lighting. Kitchens, bedrooms, studies, dining rooms, rec rooms, and living rooms are all areas in your home that need accommodations for both full lighting and low lighting. If you’ve been considering whether or not dimmer switches would be right for your home, read more about their benefits below. This is perhaps one of the biggest advantages that dimmers provide, but dimmer switches were not always construed to save you money on electricity. Older dimmer switches used TRIAC technology which rapidly switches between on and off to adjust the electricity flowing to a bulb, and newer technologies outright restrict and lower the flow of electricity. Both dimming approaches can notably reduce your energy consumption and subsequent costs because you have greater control over how much electricity you use. With a traditional light switch, the only settings are on and off, meaning you are either using 0% electricity or 100%. Being able to decrease the amount of light you use inevitably results in lower energy bills. Install dimmers in the rooms you use the most like the kitchen, living room, bathrooms, and bedrooms; this will allow you to take advantage of the greatest savings possible. Using energy efficient light bulbs will even further increase your energy conservation. 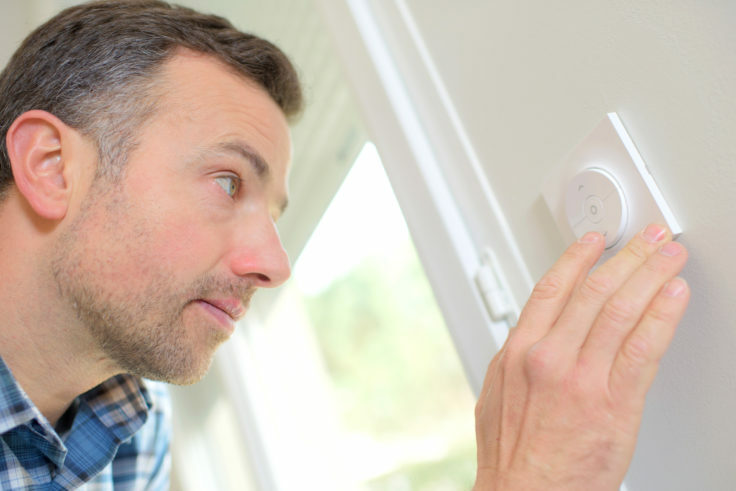 In addition to saving energy in your own home, you are also contributing to the world’s energy savings and providing some relief to the environment. Using dimmers adds longevity to your light bulbs by lowering the time your light bulbs are at the highest point of energy exertion. Dimmers provide some flexibility to the amount of electricity you use in your lamps and light fixtures. You can get an extra 3 or 4 years of usage out of your light bulbs by using a dimmer on a softer lighting setting. Even dimming the lights by 25% can result in substantial savings and even make your light bulb last 4 times longer! Lighting sets the ambiance of the room, and that is why it is important for every room to have multiple lighting levels. Dimmer switches are a quick and cost-effective way of offering multiple lighting levels in rooms that have a limited amount of lighting arrangements. Installing adjustable dimmer switches lets the homeowner more accurately set the tone of a room. It also can improve the room’s functionality. For instance, you may prefer darker lighting for watching a movie but still want the option of full brightness in that room if you’re reading later. Being able to set the ambiance of a room through your lightswitch is much more convenient than having to buy many different lamps to have the same versatility. Dimmer switches are a great addition for every room because they automatically unlock multiple levels of lighting. Light control dimmer switches are a valuable asset to your home and are relatively easy to install. They are typically small enough to fit into a regulation wall box designed for a normal light switch, and a qualified electrician should have no problem doing this work for you. As always, we urge you to have a licensed electrician make any electrical upgrades to your home. Many don’t realize the working with electricity is not a DIY kind of job and can result in serious injury OR an electrical house fire. 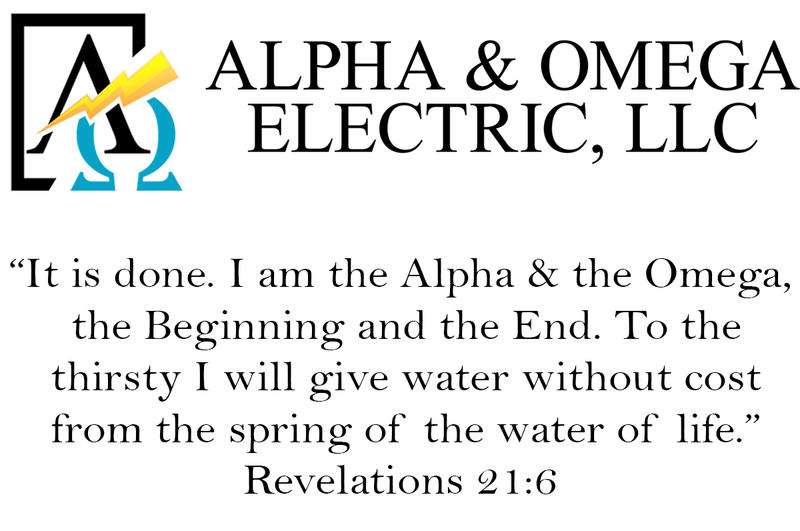 Alpha & Omega Electric is more than happy to help you out when you’re ready to make upgrades to your home. Give us a call at (505)554-3313 to have a licensed electrician come out and help you. No job is too small! Like this article? Hate it? Let us know what you think below!